Want to stay faithful to your stone roof? Of course, we all know that stone makes for a wonderful roofing option. Valued for its charming aesthetics, durability, weather resistance, and ability to preserve the architectural integrity of a building, it can give most other roofing materials a run for their money. But what if the stone that currently adorns your roof is no longer available, or perhaps you want to extend the roof but can’t find an exact match? And what if the alternatives that best match your original stone look and feel no way near authentic, and say nothing of how it will weather in years to come? Problem, right? Heritage Stone is available in three colours. Pictured here; Charnwood. Well… No, actually. 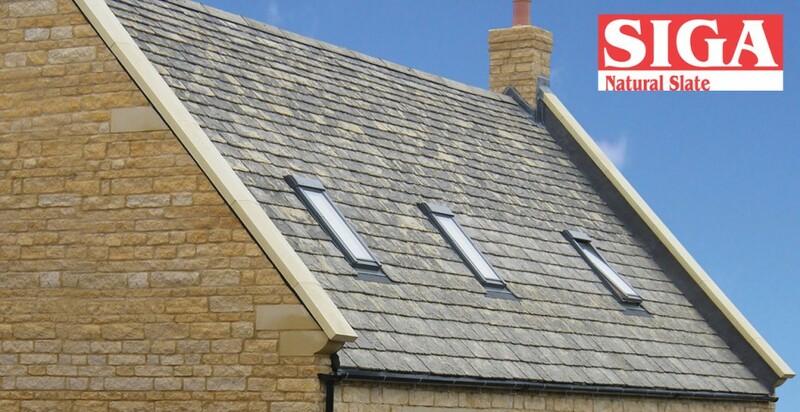 There are quality reproduction stone roofing products available and, as well as being handcrafted to mimic the authenticity of the original stone, these products don’t just look great, they tend to be constructed from Glassfibre Reinforced Concrete (GRC) to create a strong, durable stone appearance that’s extremely lightweight and can be easily cut without cracking or breaking. Homeowners and builders in the Swindon, Oxford, Bath, Leicestershire, Loughborough, Lincolnshire and Peterborough areas were left at a bit of a loose end when their original Collyweston, Swithland and Cotswold roofing stones were no longer available, but SIGA came to the rescue with their Heritage range of reproduction stone roofing products, which provide a credible and quality option in an almost identical colour match to the original stones. 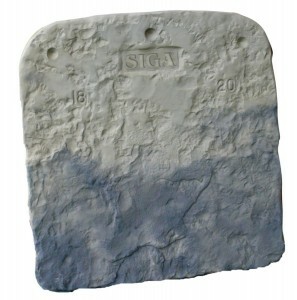 SIGA Heritage Stone is designed to replicate the unique and rustic beauty of the forebears, and are actually handcrafted using moulds taken from the originals. What’s more, they come in a choice of three colours and varying sizes, and are faithful to the original stones both in terms of colour, texture and performance. And, just like the real thing, the shades vary too, with no two stones being identical. Thankfully, authenticity doesn’t always come at a price. A proven product that is backed with a 25-year guarantee, you can rest assured that they are also an affordable option. Plus, to top it all, a full site take-off and design service is also available. Want to stay faithful to your original stone roof? Then check out the new brochure available at www.sigaslate.co.uk. If you can’t find a suitable alternative or need help with colour matching and design, then SIGA are just a phone call away on 01480 466 777.